Arctic Fox fifth wheel and travel trailers by Northwood Manufacturing is our flagship product line. These units boast a long list of standard features, and are brought together with quality construction and engineering. 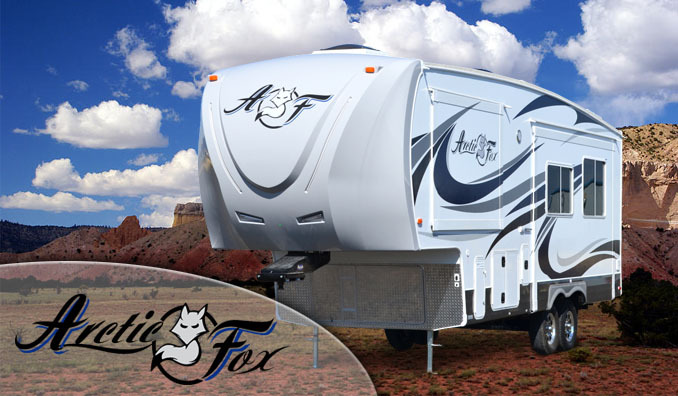 Arctic Fox units result in customer loyalty that is seldom found in the RV industry. 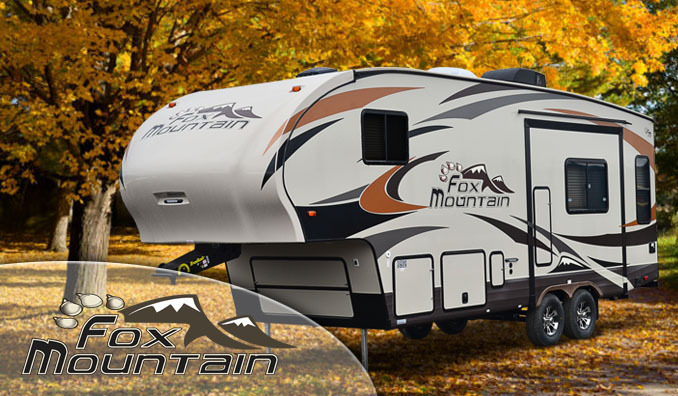 Fox Mountain fifth wheel is built for dependability. When we look for a manufacturer to represent on our family’s lot, we look for dependability, reputation and comfort. 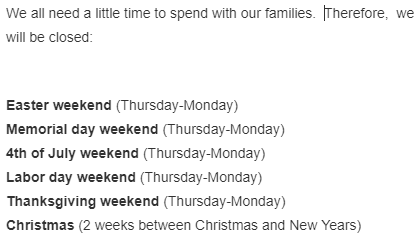 We are proud to partner with Northwood to provide a structurally sound rig that is built with your family in mind. 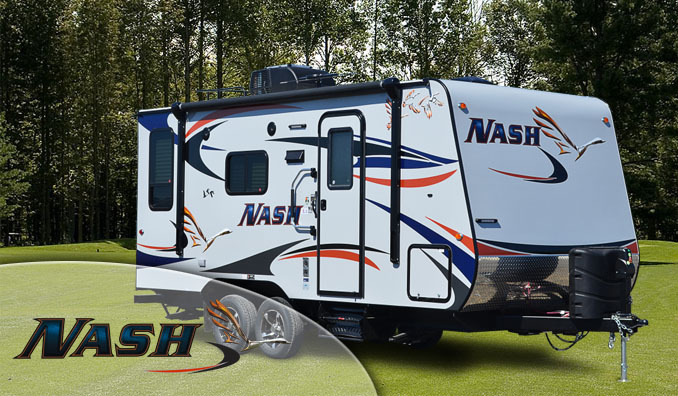 Nash is a travel trailer that is small enough to maneuver those National park campsites, but also provides a floor plan that is comfortable and spacious. These travel trailers are another dependable option we are proud to offer from our family to yours. 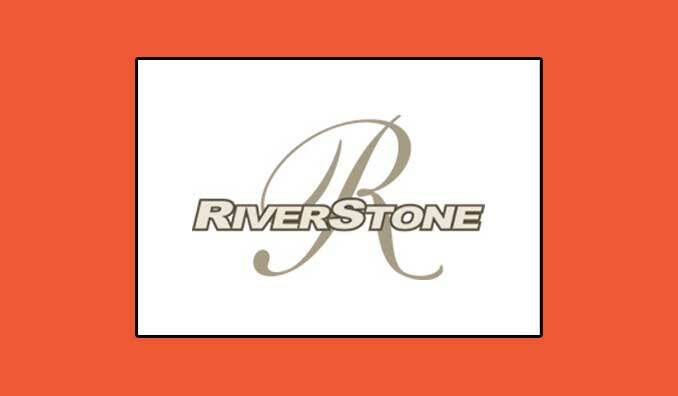 Riverstone is the Cadillac of the road when it comes to RV living. Whether you’re a full timer or you just want those braggin’ rights when you pull into any campsite, you won’t have to look any further than the Riverstone by Forest River. These beauties are built with class and where every other 5th wheel has upgrades, the Riverstone has made those a standard feature on every rig. 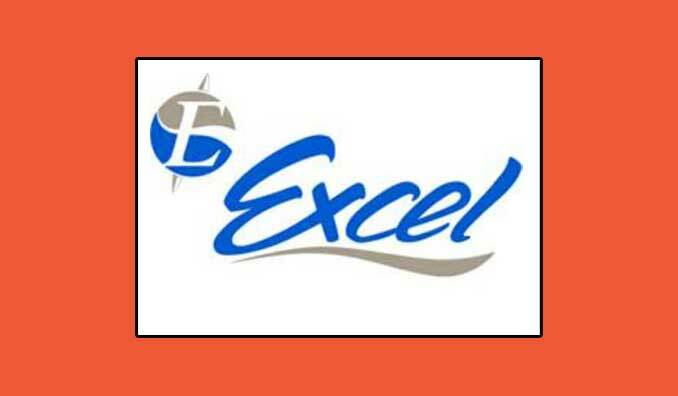 Excel has always been a part of our family’s inventory because of the pride they take in every unit. Each Excel 5th wheel was put together with a steadfast determination to keep your family on the road. They’re dependable and comfortable with generous living spaces and upgrades already available on most units. RV Sales of New Mexico specializes in Used RV’s. We regularly have used units from all the major RV brands, and each arel inspected, cleaned and certified by our factory trained staff. 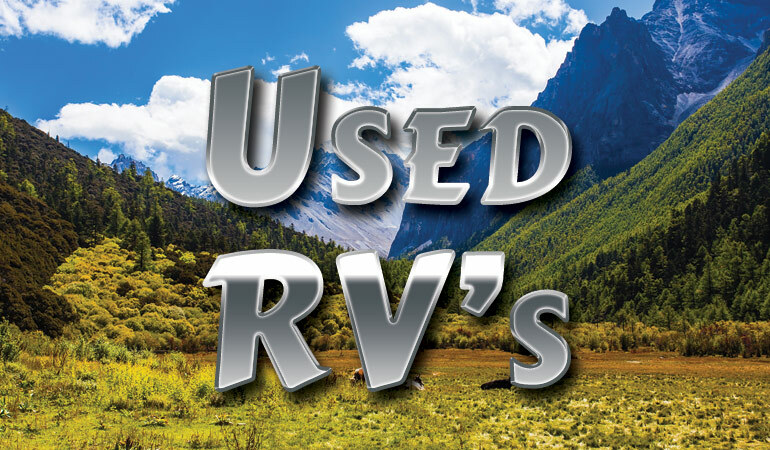 Shop our used inventory today and save thousands versus buying a New RV. When it comes to trusting in a company to provide you with quality customer service, efficient and knowledgeable maintenance and repairs, you will never go anywhere else for your RV needs. We take pride in our company and our employees, and we will always put you first. We are proud to have had 3 Generations of family serving you in the RV industry. Our Award-winning service department has been top rated with our very own Kevin Ridenour developing many of the infield fixes that keep Excel on the road. We are a small town, family owned business who puts your family at the heart of our mission. You can always count on us! Browse through the vast selection of RV's that have recently been added to our inventory.